You're now in members . . .
Xiamen expats and local community has a new discount and entertainment card. 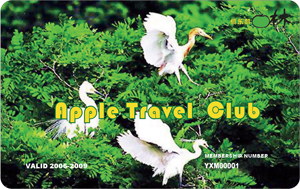 With the card you can enjoy discounts at selected providers in Xiamen, ranging from restaurants to dry cleaners etc..
WOX id Card is now available at Apple Travel Shop. It is simple to own. Using your existing WOX id or username, simply send your request to sales@whatsonxiamen.com or ask at Apple Travel Shop next to Marco Polo Hotel and express your intention, WOX team will contact or assist you. If you are not a member yet, simply register with us to obtain a WOX id. Registration is free and members have many benefits. WOX id Card attracts discounts at some selected businesses in Xiamen. From time to time, WOX Team will organize games that you can play to win prizes. The games are interesting and prizes are easily won.